The only thing Abi ever wanted was a proper family. So when she falls pregnant by an Australian exchange student in London, she cannot pack up her old life in Croydon fast enough, to start all over in Sydney and make her own family. It is not until she arrives, with three-week-old Jude in tow, that Abi realises Stu is not quite ready to be a father after all. And he is the only person she knows in this hot, dazzling, confusing city, where the job of making friends is turning out to be harder than she thought. 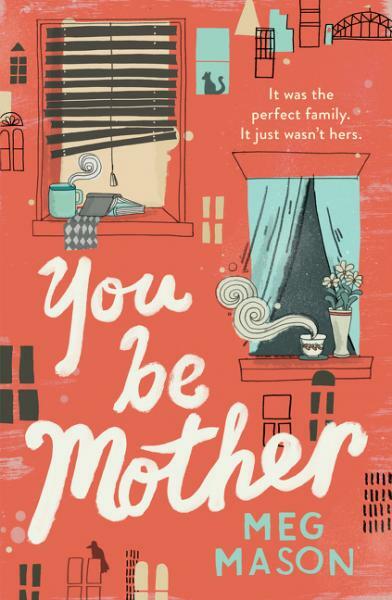 Imagine the warmth of Monica McInerney, the excruciating awkwardness of Offspring and the wit of Liane Moriarty, all rolled into one delightful, warm, funny and totally endearing novel about families – the ones we have, and the ones we want – and the stories we tell ourselves about them. Born in New Zealand, writer Meg Mason began her career at the Financial Times in London before switching to The Times to write on lifestyle, parenting and humour. After relocating to Sydney, she began writing for the Sydney Morning Herald, Russh, the British Medical Journal, Cosmopolitan and GQ. She now writes regular features and the popular ‘Mum vs. World ‘column for Sunday , where she served as managing editor in 2010. She lives in Sydney with her husband and two daughters. Born in New Zealand, writer Meg Mason began her career at the Financial Times in London before switching to The Times to write on lifestyle, parenting and humour. After relocating to Sydney, she began writing for the Sydney Morning Herald, Russh, the British Medical Journal, Cosmopolitan and GQ. She now writes regular features and the popular 'Mum vs. World 'column for Sunday , where she served as managing editor in 2010. She lives in Sydney with her husband and two daughters.